People spend their days staring at a screen. Whether it is a mobile phone, TV, computer, or a tablet, the fact is that we have deserted coffee shops, markets, and neglected casual chatting with our friends and went online. Many people criticize this modern way of living, but businessmen can take this situation and turn to their advantage by shifting their focus to digital marketing. If you have not stepped into digital marketing world and you are still not convinced that this type of advertising is exactly what your business needs, here we have a couple of important reasons that are bound to change your mind. It seems that technology has taken over our lives in just a few years. Everything happened so fast, and we suddenly found ourselves depending on a piece of equipment and internet modem. Technology develops really fast nowadays, and we need to be up to speed with everything, in our private and business lives. Just imagine how handicapped you would feel if you did not own a mobile phone or a computer, like the rest of the world does. The same way your business will suffer if you do not change your marketing strategy, because your competitors will, and then you are bound to fall behind. As it was already mentioned previously in the text, people spend most of their days on a computer and internet, and 90 percent of that internet time they spend on their social media accounts. It is the 21st century obsession, and that is why your advertisements should find its place on Facebook, Twitter, Instagram, and other popular sites. If you have never dealt with such type of marketing, you might need some help to develop social media strategy, and it is usually good to hire a professional help, someone with experience. A good photo, content, and constant posts will eventually attract attention and people will start liking, commenting, and retweeting, and you will easily reach out to potential customers. Especially when you are just a beginner and still struggling to develop your business, you are looking to save every penny. 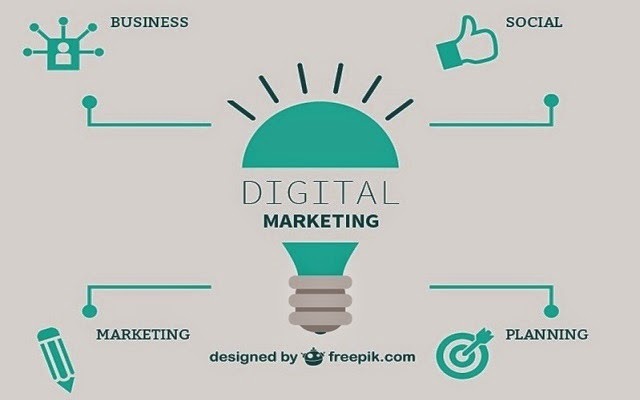 That is why choosing to advertise your business via digital marketing is the best possible option, as not only will you spend pocket change in comparison to more traditional marketing strategies, but you will also be able to advertise for free. And how? Well simple – through e-mail. You have probably used it so far to contact people for information and to make connections, but it is high time you started sending out promotional e-mails to attract new customers. Also, do not forget about the people who have already bought something from you, and try to turn them into your regulars, by sending them newsletters and discount information. Finally, one of the most important things is the fact that when your advertisement is printed out in the paper as a leaflet that ended up in someone’s mailbox, you cannot really keep track of how successful that particular marketing campaign went. When you put it online, it is much easier to get results and see if it needs improvement or not. So if you regularly keep track of the influence your marketing strategy has on potential customers, it could help you develop your business. About the Author: Dan Radak is a web hosting security professional with ten years of experience. He currently works with a number of companies in the field of online security, closely collaborating with a couple of e-commerce companies. He is also a coauthor on several technology websites.